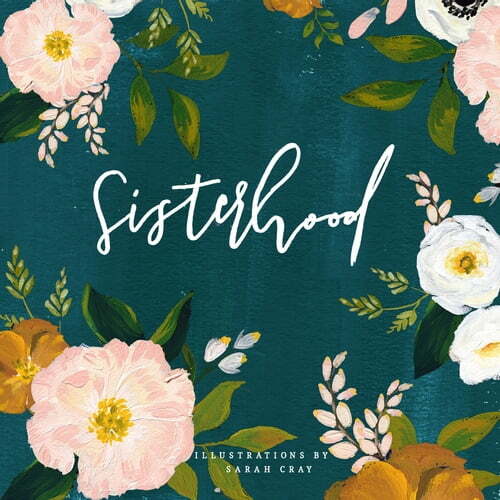 Celebrate the sweetness of sisterhood, whether she’s your sister from birth or sister in spirit with this collection of heartfelt sayings and beautiful illustrations. Quotes include wise and witty reflections on sisterhood from Simon de Beauvoir to Sylvia Plath to Audrey Hepburn; from Virginia Woolf to Jane Austen to Alice Walker. Every spread is like a greeting card, so this delightful volume serves as a stand-alone token of affection or the perfect finishing touch to a gift. Sarah Cray is the creator of Dandelion Paper Co. and "Let's Make Art," an online community and art supply shop, with the goal of getting more people to paint and to live a more creative life. Sisterhood is her second book.